She paved the way for the ICD-10 project at Trinity Health in Michigan. She led the move to electronic health records. She mastered meaningful use. Now, she’s wrapping up bundled payments. 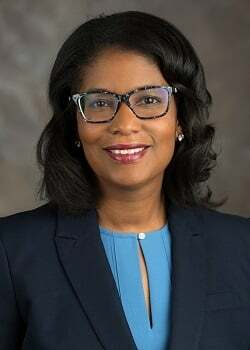 If you need a major project orchestrated correctly at Trinity Health, you inevitably turn to Tauana McDonald, senior vice president of clinical business operations for the Catholic health system. From the standpoint of organizational mission and personal satisfaction, it’s a role that McDonald says is a good fit for her. McDonald came close to becoming a physician herself. Both of her mother’s sisters were nurses – one in the operating room and one in pediatrics. She remembers them both as being very nurturing people. “People in the community looked to them during their most vulnerable times and there was something about that quality that really appealed to me,” she says. So she completed four years of college as a pre-med, but the doubts about whether it was a good fit for her intensified as she sat down to apply to medical school. Her path had several key stops along the way – IBM, where she was hired by future CEO Ginny Rometty; Deloitte, where she spent seven years doing strategy and operations consulting with healthcare organizations around the country; and motherhood – she stayed home for several years after her children were born. She says she also appreciates the diversity of the ministries that Trinity Health offers. The diversity of the staff is of utmost importance to McDonald as well. “Developing diverse leaders is really my passion, and I am intentional about it every day, looking at people in our organization who have a lot of talent that other people may not see right away,” she says. As healthcare continues to evolve, the need for new ideas is critical, and a diversity of experiences can catalyze that, McDonald says. As the leader of so many key initiatives at a major American health system, McDonald is highly sought after as a mentor. Yet she says many of her key takeaways in leadership come not from another healthcare executive but from Florence Ferguson, her 102-year-old grandmother. Ferguson’s other key concept echoed the best leadership experts in her own less-fancy words.